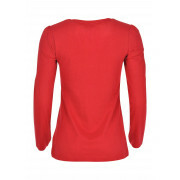 Give your sleepwear a bright update with the Rebelle red pyjama top. 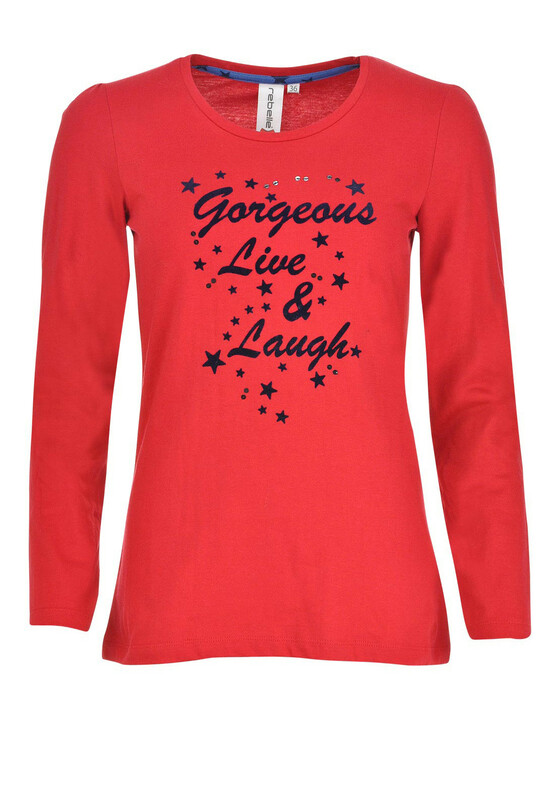 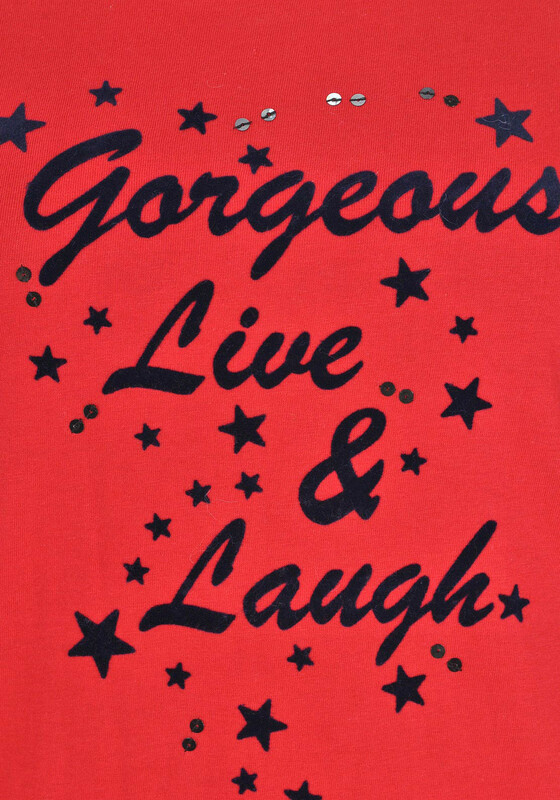 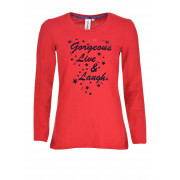 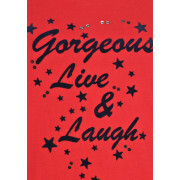 This long sleeved top has the text “Gorgeous Live & Laugh” on the front. 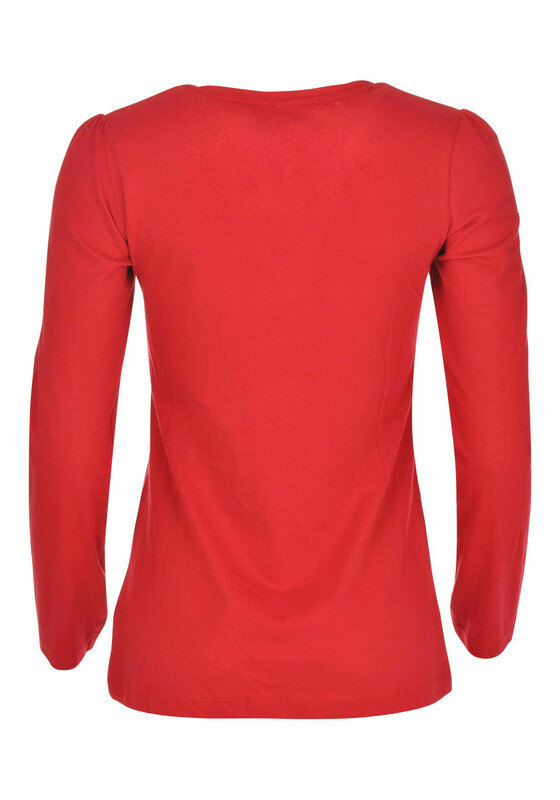 Crafted from a pure cotton.